You may wish to export transactions from your PocketSmith account. 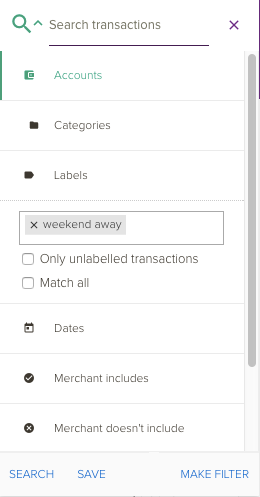 You can export specific transactions or you can export all of your transactions. 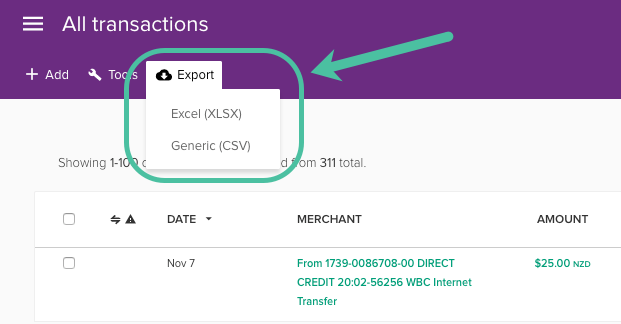 It's really easy to export all of your transactions into an XLSX (Excel) or a CSV (comma-separated values) file from the Transactions page. 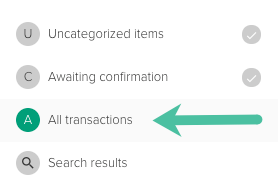 You can also download a full export of your transactions from the Settings menu. Head to Settings > User preferences and choose Export data from the left menu. Under 'Export all transactions to CSV' click Download a CSV.